The final day of action takes place on Sunday 10th December with host nation India facing Germany in the bronze medal match at 17:15 Indian Standard Time (UST+5.30). That contest will be followed title match, with reigning world and Hockey World League champions Australia taking on Olympic champions in 1930. The final of the Odisha Men’s Hockey World League Final Bhubaneswar 2017 will be a mouth-watering clash between the respective world and Olympic champions, with Australia set to meet Rio 2016 gold medallists Argentina in the championship match on Sunday. 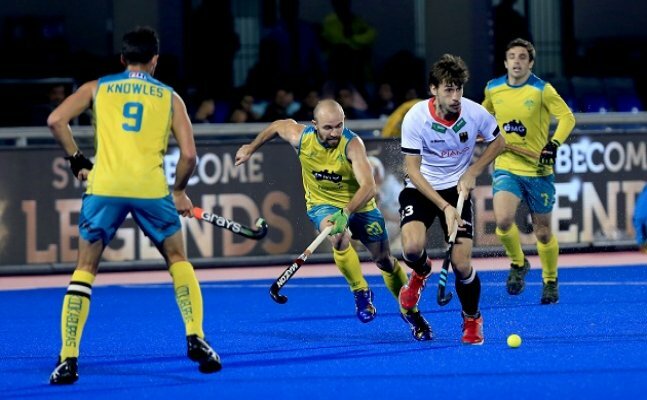 Australia overcame stern resistance from Germany to emerge with a 3-0 win to maintain their hopes of defending the Hockey World League title that they won in Lucknow two years ago, setting up a clash with Los Loenes, the top-ranked team in the game. Germany’s depleted squad somehow reached halftime with the match scoreless but found the third and fourth quarters tough going as the constant Australian running began to take its toll on Germany's rapidly tiring legs.